Way tooooo easy. Who said good things take time and precision? Well, I’m here to say that’s not always true. I’ve so enjoyed spending time with my extended family from Mexico and have learned a lot about Mexican cooking. This trip to San Diego was especially interesting and I had the opportunity to learn from the best. 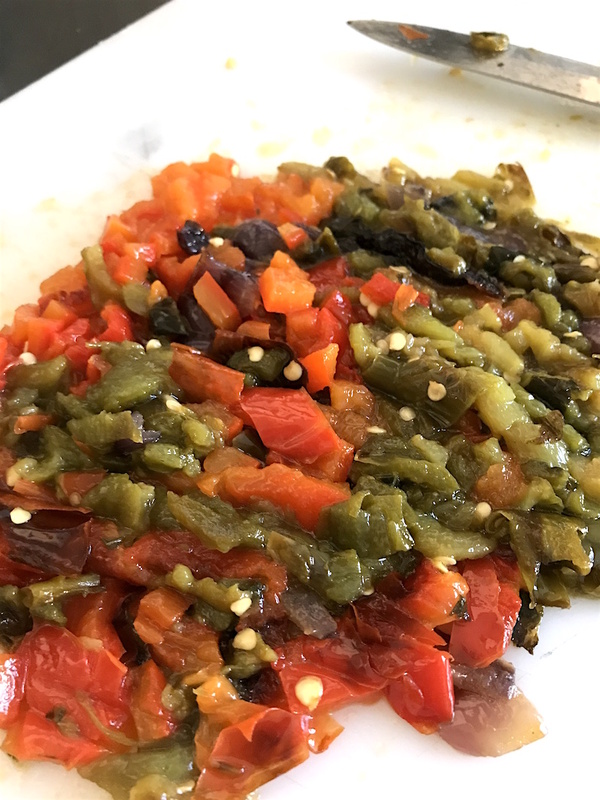 My daughter’s father-in-law, Enrique, is an amazing cook and always brings the best homemade salsa to every gathering, which happens to be weekly! This time he made it on the spot and I got to watch the chef at work! Just take a look at these pictures…plus the best part is NO MEASURING. Just do it! 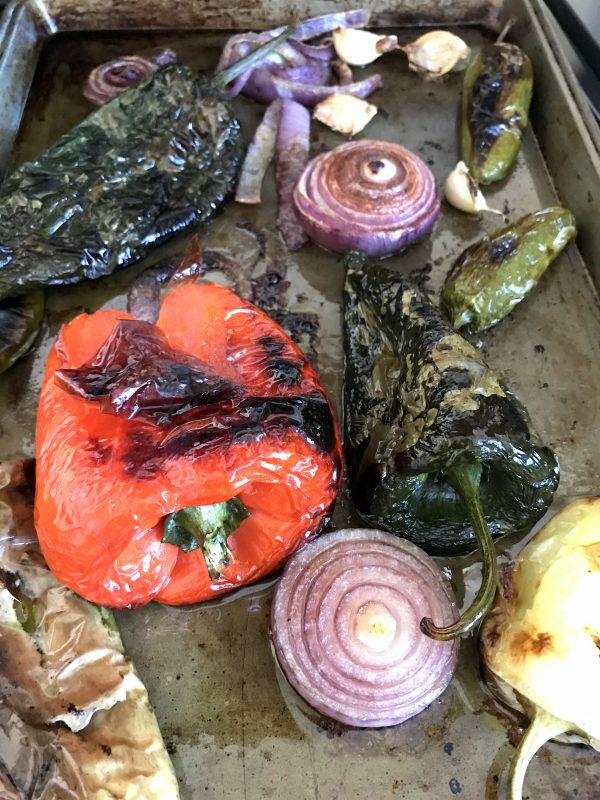 First, he washed and roasted several different peppers, tomatoes, and onions in the oven. Then he let them cool and cleaned the seeds out. 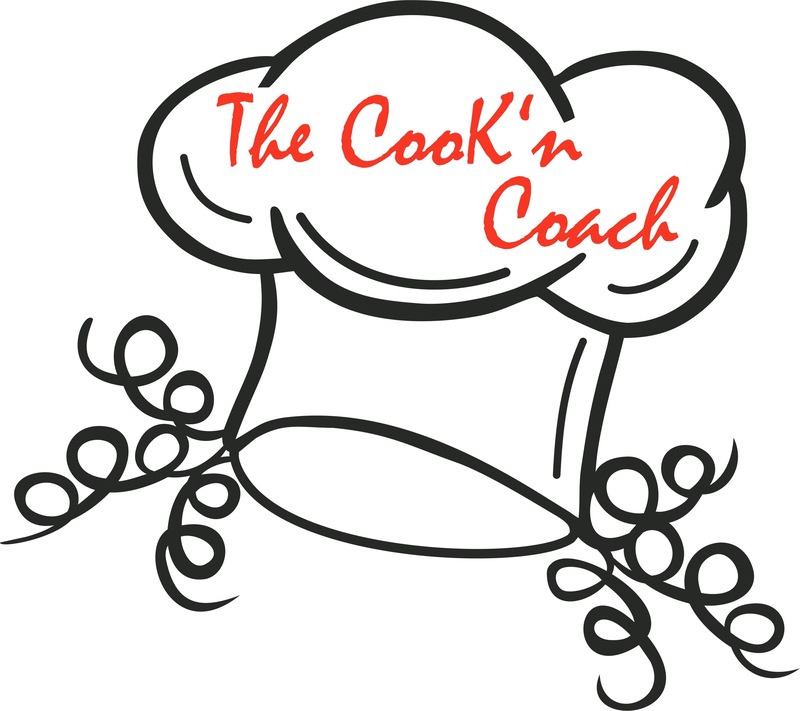 He then added chopped garlic and mixed it up…yes with his hands! This was amazing!!!! He added a little salt and a dash of fresh lime juice. Simple and no measurements or spoons!!!! 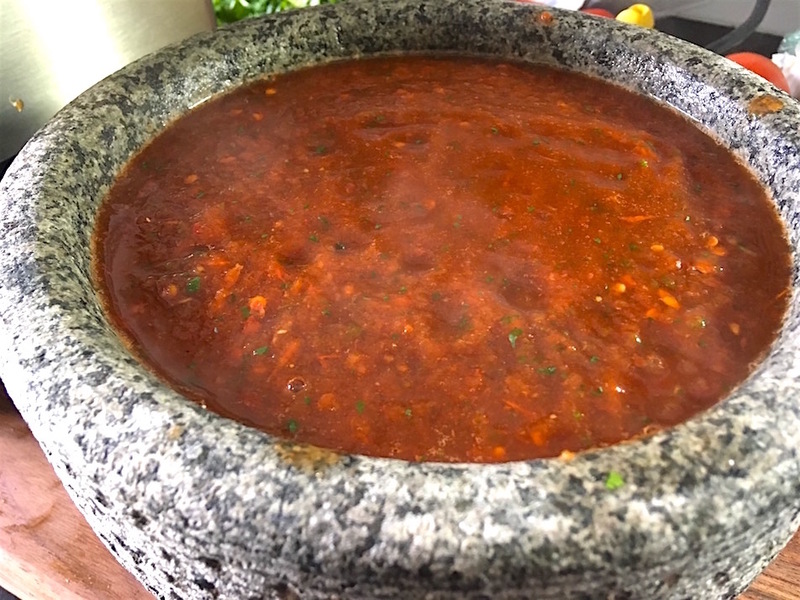 Next, he made a delicious Salsa that was to die for and went so well on top of the grilled Pollo Asado. He boiled several verities of dried and fresh peppers in a pan of water along with some garlic, tomatoes, and onions. Then he drained it and let it cool for a bit. 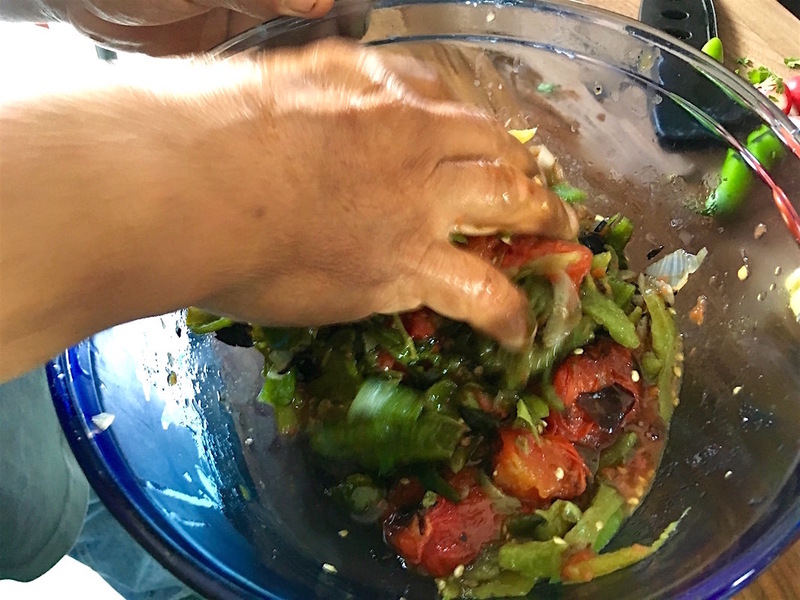 He cleaned out the seeds in the peppers and placed it all in the blender with some salt and a bit of diced cilantro and a squeeze of lime. It was like a “party in my mouth”. Nothing but fresh food and a little boiling. How hard is that? Well as always I can’t leave well enough alone but I did try my hand at it and believe it was a success. 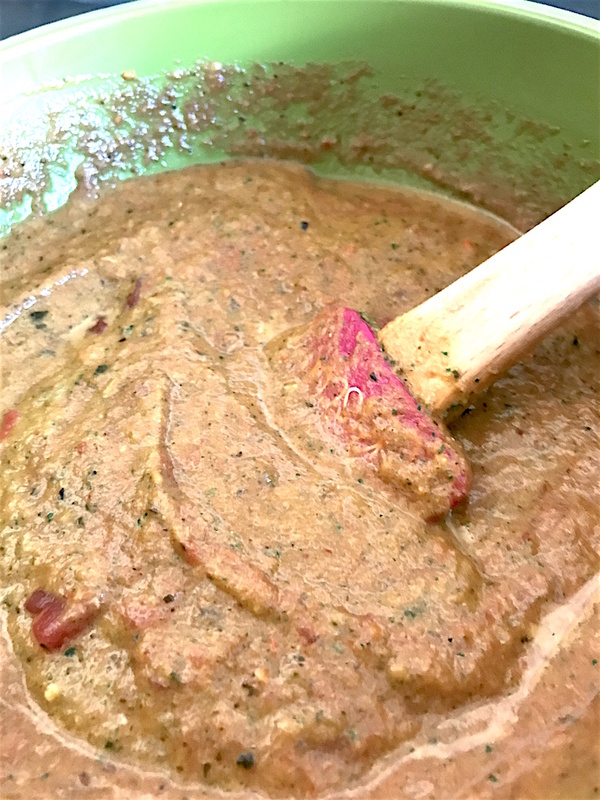 Since Enrique worked so hard and so fast I do believe I got a little mixed up but my mix at the end was super and I ended up with a very thick creamy salsa that would work as a dip or sauce over baked chicken or fish. It was delicious and yielded 2 small canning jars worth of yummy! 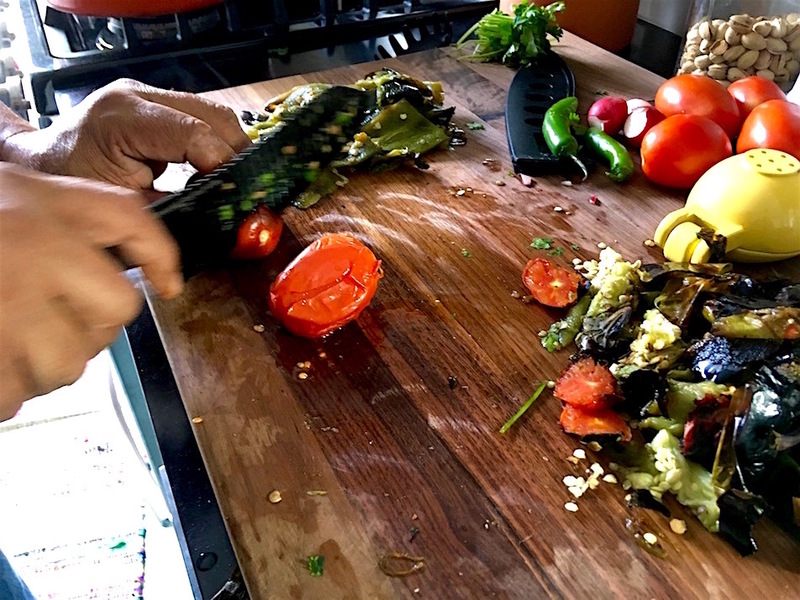 And the best part is you can choose what peppers you use, dry or fresh. I even threw in a red bell pepper! I started to follow Enrique’s protocol but ended up combining the two recipes and adding a bit of olive oil that created a creamy salsa. My son can testify that it was the perfect salsa and topping for our carnitas. One jar was consumed during my visit with him in Seattle and I assure you, the other has been consumed just as fast. 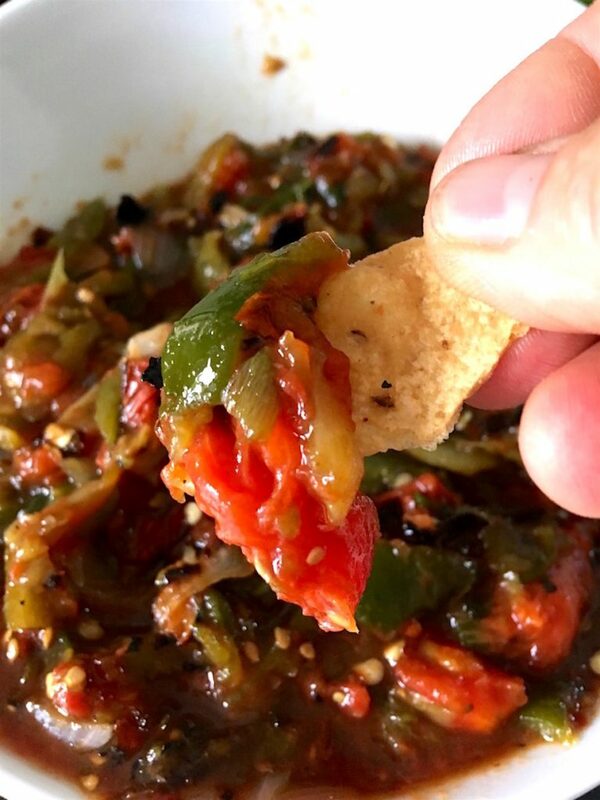 Give it a try, there’s no real recipe for “Roasted Salsa My Way”, just create! Heat your oven to 400 degrees. 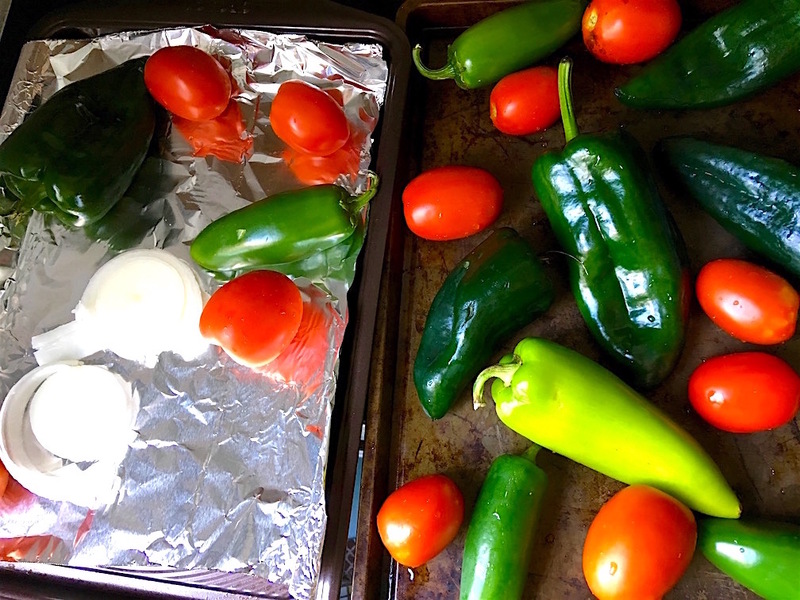 Wash all your fresh peppers and place them on a cookie sheet along with the garlic cloves. Place in the oven and rotate until slightly blackened. 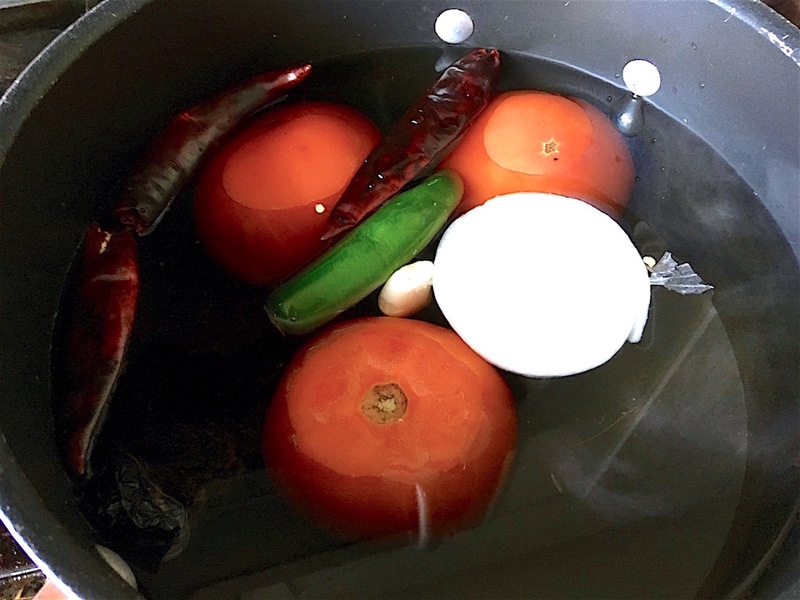 If you're using dry peppers, place them in water and simmer until soft. Remove them and let cool while the fresh peppers are roasting in the oven. 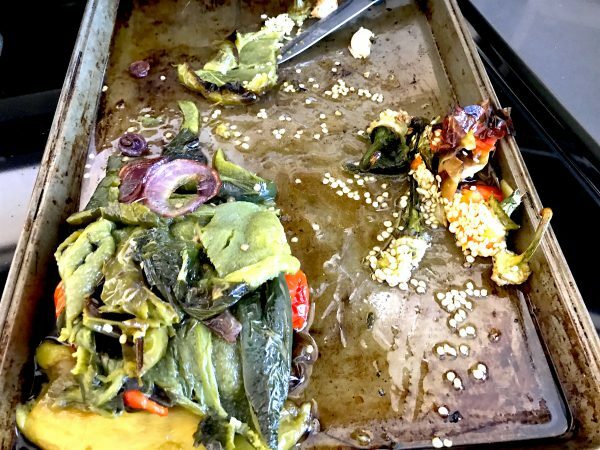 Remove the oven roasted peppers and cool them. After they have cooled to the touch you can remove the seeds. Be sure to remove the seeds from your boiled peppers as well. I've used gloves before but did not have a pair handy so I used pinchers to hold them while I scrapped out the seeds. After all, the fresh and boiled peppers have been de-seeded, dice them along with the garlic, onions, and tomatoes. Clean and dice the cilantro leaves. 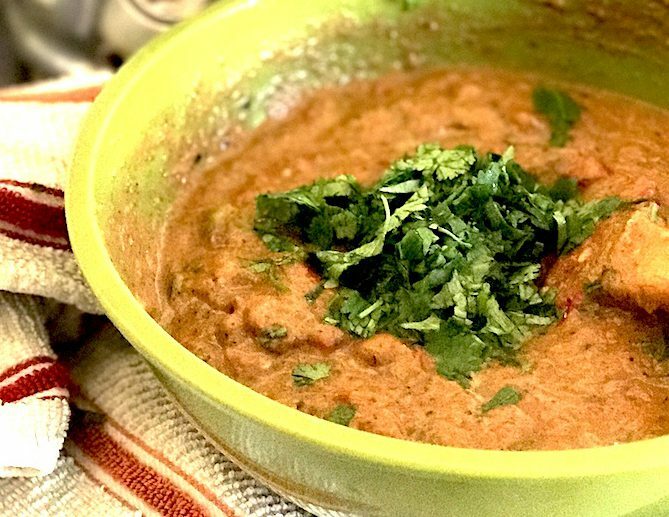 I like a lot of cilantro so I use about 3/4 cup. 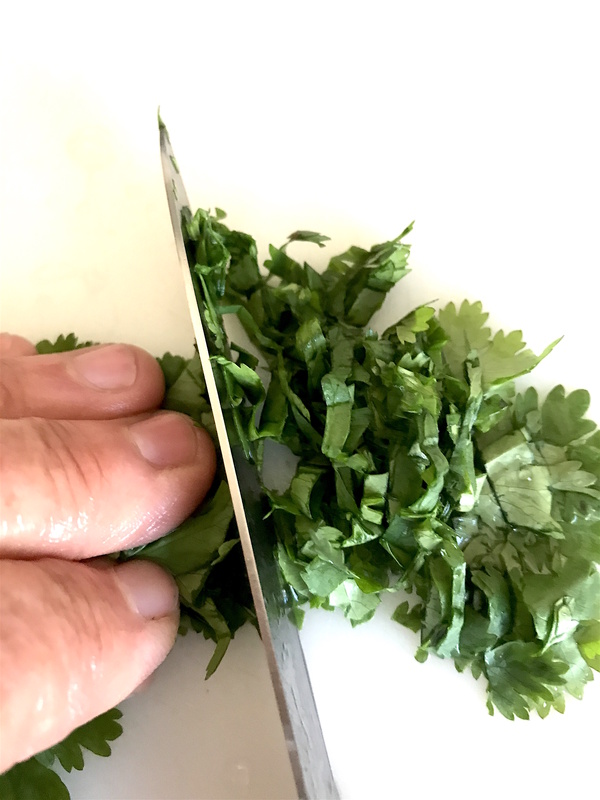 Divide your diced cilantro into two piles. Divide the diced peppers, onions, garlic, tomatoes in half. Place half in the blender or food processor with the olive oil, lime juice, half your cilantro and salt, and pepper. The olive oil makes it thick and creamy! 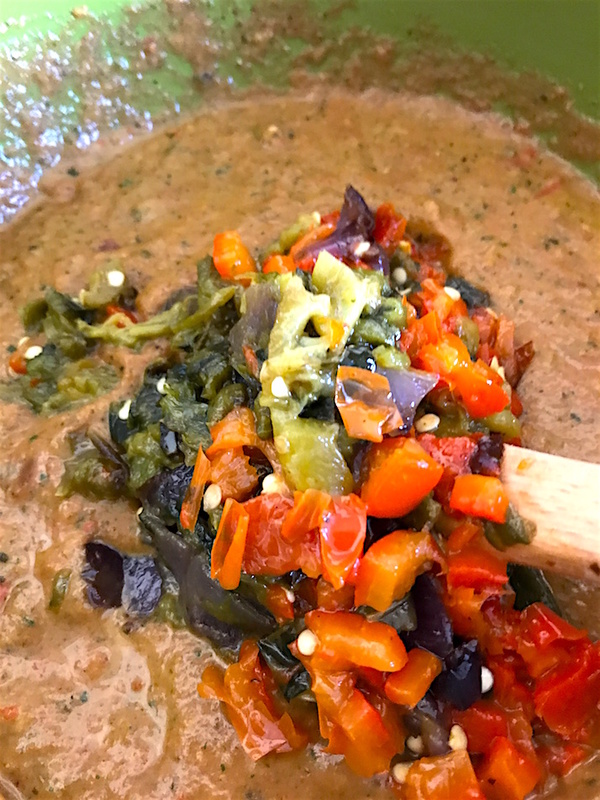 Place the blended mixture into a serving bowl and stir in the remaining half of the peppers, onions, tomatoes, and cilantro. Check to see if you need more lime or salt! Muy Bueno!!! This so tastes and all natural ingredients. My next adventure will be to use this as a sauce over my salmon! 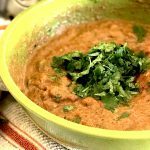 I hope you enjoy this taste "Roasted Salsa My Way"! Or you can do it Enrique's way. Both will be amazing.